The Plant Engineering & Maintenance Association of Canada (PEMAC) is pleased to announce the winners of the 2018 Capstone Awards. Initiated in 2013, these awards recognize excellence in the Maintenance Management Professional (MMP) program and brand new this year, the Asset Management Professional (AMP) Program. The MMP and AMP education and certificate programs, developed by PEMAC, a not-for-profit association, focuses on the tools, techniques, strategies and skills necessary for effective maintenance and asset management of a business’s physical assets. Both programs consist of a number of modules that bring participants through key learnings and application, that culminates in the final course: The Capstone Project. The 2018 Best MMP Capstone Project: Technical Focus was awarded to John Colwell. John is a maintenance supervisor for Molson Coors in Toronto, Ontario. He completed the MMP program earlier this year at Humber College, submitting his project on: The Keg Room Revival Project. “This capstone project was comprehensive and well prepared. John’s commitment and attention to the course content and subsequent application of the material was impressive,” remarks Brian Malloch, MMP instructor and nominator of this capstone project. The 2018 Best MMP Capstone Project: Business Technical Focus was awarded to Sameh Abadir, for his project on Line Automation at Skjodt Barret Foods. Sameh began his career as a Maintenance Planner before starting his learning journey in the MMP program at Humber College. Sam later moved into the role of Maintenance Engineer role at Skjodt Barrett Foods, a food manufacturing facility in Brampton, Ontario, and more recently has been promoted to Maintenance and Reliability Engineer. “In my current position, I have been able to apply learnings from the MMP program including RCM, RCA, work management, and financial analysis, in order to improve asset reliability and performance within my organization. The skills and relationships I have built because of the program have enabled me to not only advance in my career, but also directly apply the learnings within my organization. 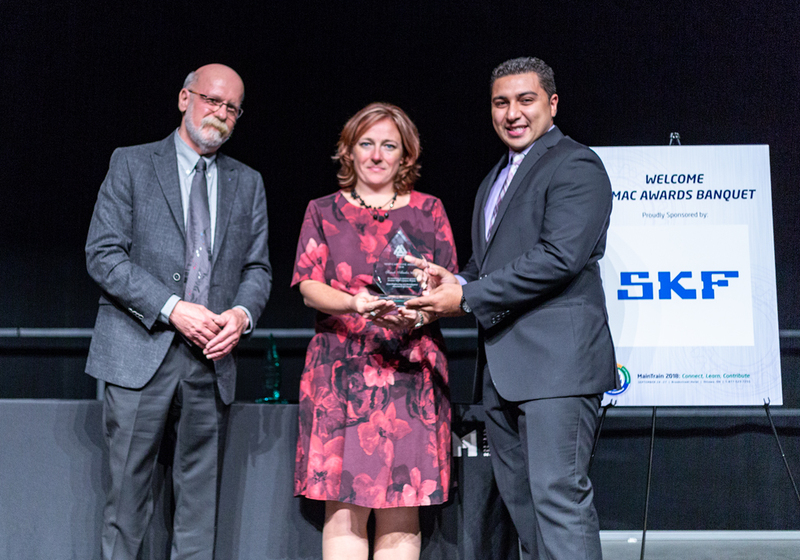 I am honoured to receive this award and look forward to upholding the excellent perception and reputation of the profession,” shares Sameh Abadir, Maintenance & Reliability Engineer at Skjodt Barrett. PEMAC presented the first ever Best AMP Capstone Project at this year’s awards banquet. Professionals have been graduating from PEMAC’s Asset Management Professional program for the past two years and this new award recognizes the best capstone project from among those new designates. The Capstone requirements for PEMAC’s Asset Management Professional program involve participants selecting an Asset that supports the Strategic Goals of their organization and describing all of the components of holistic asset Management as they apply to this Asset. 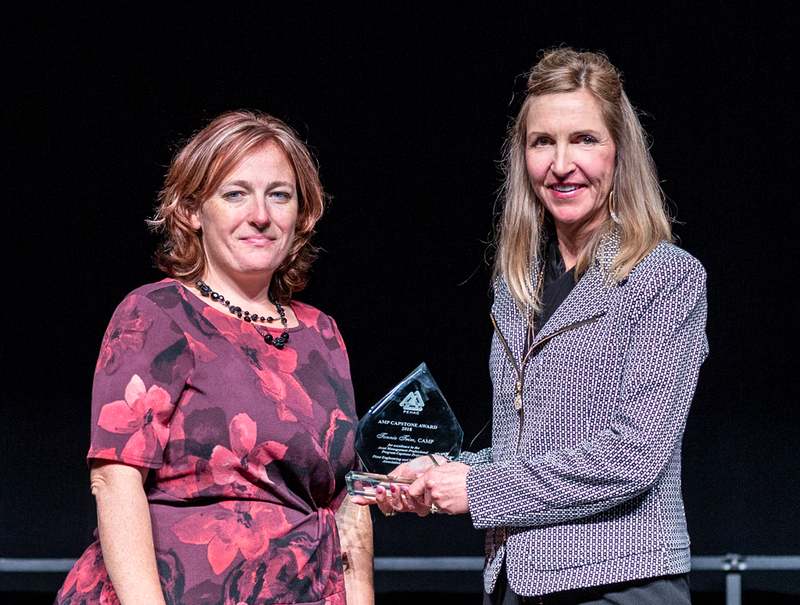 The 2018 Best AMP Capstone Project has been awarded to Tonnie Trim, an Asset Data Supervisor for the Maintenance Management and Systems Group at Enbridge. Tonnie completed her project on the: Amine Filtration System. “This capstone demonstrated a complete and comprehensive Holistic Asset Management approach to delivering value to the organization. Tonnie’s Capstone project related to an Amine Filtration System and described how it was a clearly in support of, and critical to, more than one Strategic Objectives.” shares Cliff Williams, Maintenance Manager at ERCO Worldwide and AMP instructor. PEMAC congratulates all of the Capstone Winners! For more information about PEMAC, the certification programs and a growing list of certified individuals, visit www.pemac.org.